PRICED TO SELL! 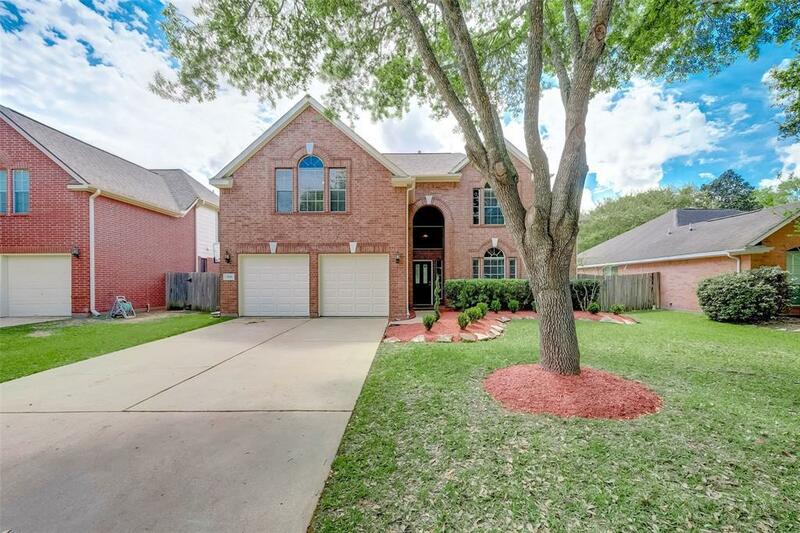 Amazing VALUE for this beautifully updated 4bd 2.5ba brick home nestled on a quiet cul-de-sac street in desirable Lake Olympia. 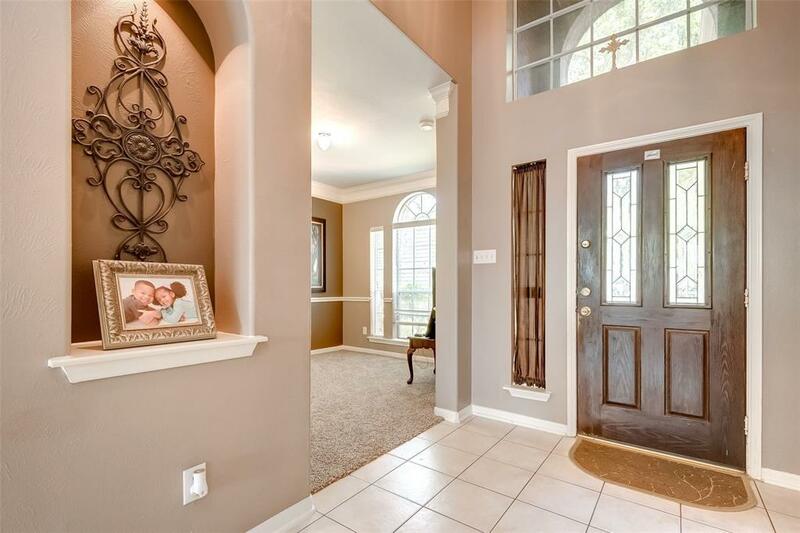 Home features a two-story foyer, formal dining w/ opening to kitchen, utility room & master down. 2nd Bedroom upstairs is large enough to be a 2nd master or media room. 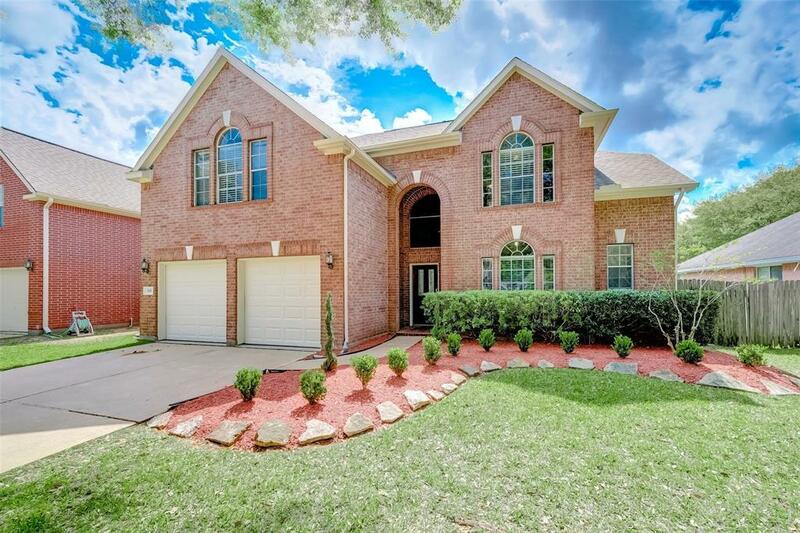 Large windows with custom blinds, high ceilings & fans throughout home. 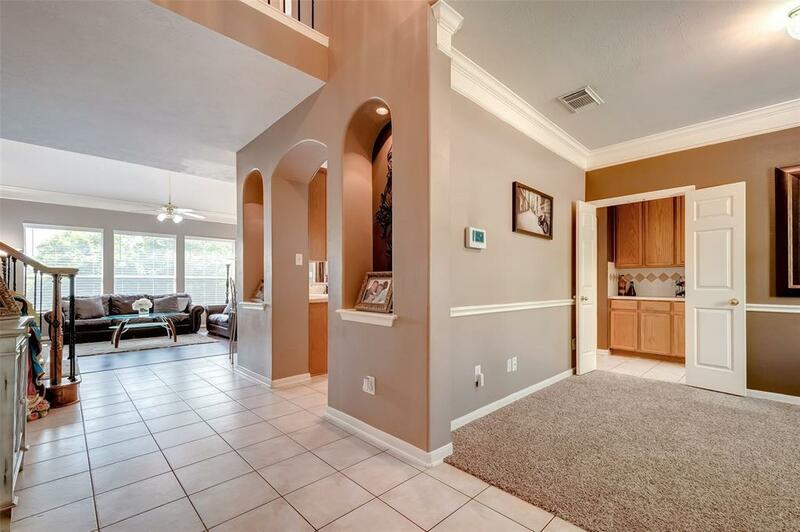 Kitchen showcases an island, stainless steel appliances, rich wood cabinets & window seats in breakfast area. Staircase boasts newly upgraded iron rods. Master bath was renovated to include a tiled jacuzzi tub with separate shower. Master bath contains secluded toilet room, large his and hers walk-in closets w/ shoe rack & separate his & hers vanities. New carpet installed throughout home! New ext garage doors! The oversized back yard, with covered patio, accentuates 2 citrus orange fruit trees and 1 lemon tree. Recent roof! Walking distance to lakes, trails & parks. Ez access to hwy 6, hwy 90 & fb tollway!